Dzulkefly: Is Najib’s China tilt flawed and misguided? The Amanah politician, saying foreign policy should be made after deep consideration, fears Najib’s sudden policy shift may not be good for the country. 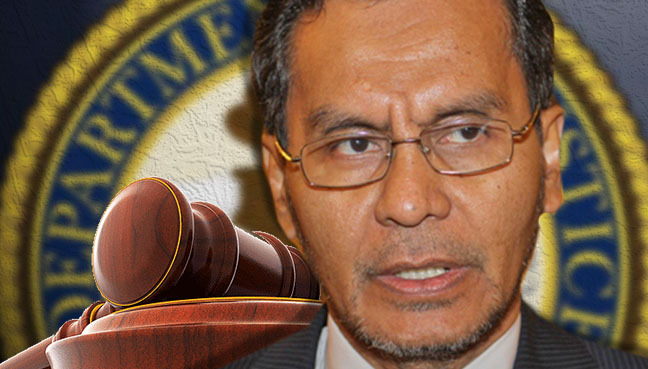 PETALING JAYA: The shift in Prime Minister Najib Razak’s foreign policy from the United States (US) to China may have been clouded by the US Department of Justice’s (DoJ) civil suits, Dr Dzulkefly Ahmad said today. The Parti Amanah Negara (Amanah) strategic director added that this was the global perception following the historical bilateral deal worth RM144 billion entered into by Malaysia and China. “The whole world knows that Najib’s stepson, Riza Aziz, is one of the defendants in the DoJ’s suits. “Hence, it appears that Najib, by taking Riza to China in his delegation’s private plane, was being oblivious to the global community’s decorum, much less perception and sensitivities. “Added to the bilateral deal, this has led to the perception that there is a shift in his foreign policy, tilting more towards China than the US. It has raised some pertinent questions, such as whether the move was due to the DoJ civil suits,” he said. The DoJ has filed forfeiture suits against several individuals and organisations, claiming that the assets named had been bought with money stolen from 1MDB. According to Dr Dzulkefly, the shift has also been perceived as one made based on the “self-centred judgement of one individual”, the prime minister. This, he said, had placed the country’s sovereignty at risk. “Changes to foreign policies must be critically based on strategic and geopolitical considerations. “But with the various projects amounting to RM144 billion, which is about 10 per cent of our Gross Domestic Product, Najib can’t avoid having the global community perceiving the move as one that is motivated by the DoJ lawsuits. Dr Dzulkefly also claimed that Najib’s closer ties and seen pandering to China at the expense of his relationship with the US, had placed Malaysia in the same league as the Philippines (latest Zimbabwe) and into the fold of China’s supremacist doctrine. This was both flawed and misguided, he said. Among the 14 agreements and memoranda of understanding signed between Malaysia and China are those for the construction of the Melaka Gateway Project and the proposed purchase of land and development in Bandar Malaysia. Najib, in announcing this on Tuesday, said the amount of these deals was the biggest ever recorded in conjunction with his official visit overseas, making it a historic achievement.